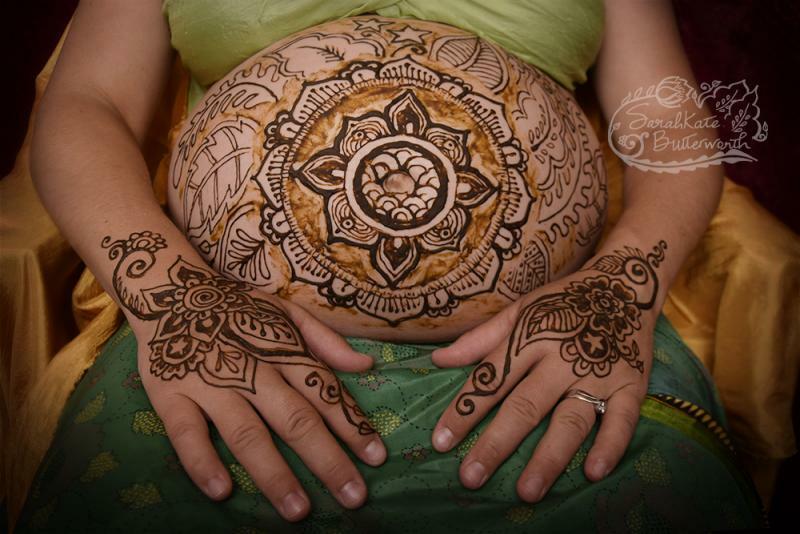 For Katie's henna belly design she really encouraged me to do whatever I felt like. I asked her: did she feel watery, flowery or more like a tree? And the answer was flowers ~ so away I went! I had a lot of fun and incorporated a lot of neat flower ideas I've been holding on to. Katie returned a few days later at sunrise for some photos by the lake, and I love how they came out. She is glowing! 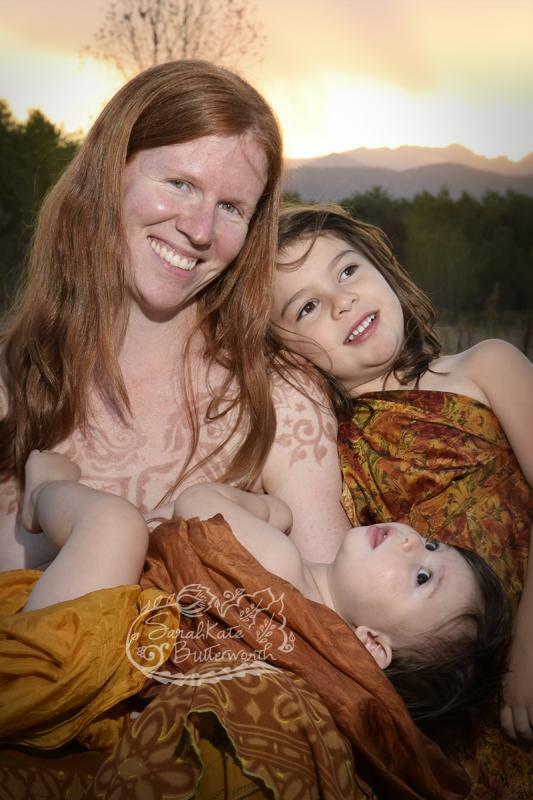 She gave birth 11 days later and asked if I would come to her home in Boulder for postpartum henna. YES! 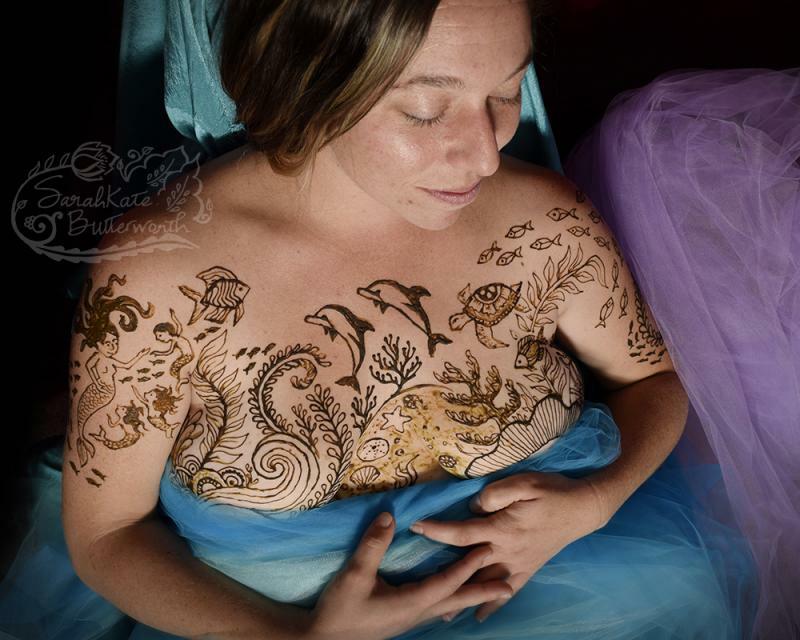 I want to encourage women to stay at home and rest for at least the first 2 weeks, so I'm happy to travel to them for both henna & photos. 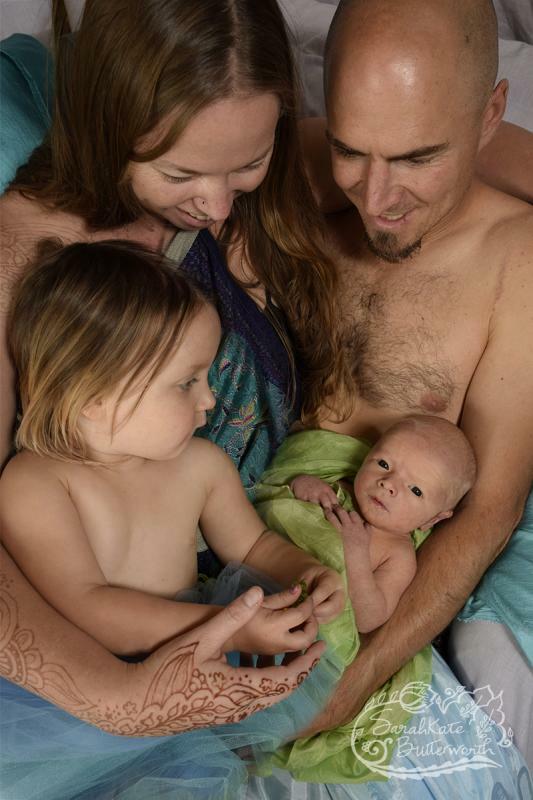 Her sweet boy was just 3 days old and so wise looking with his peach fuzz. At the time of painting, his exact name was unknown. 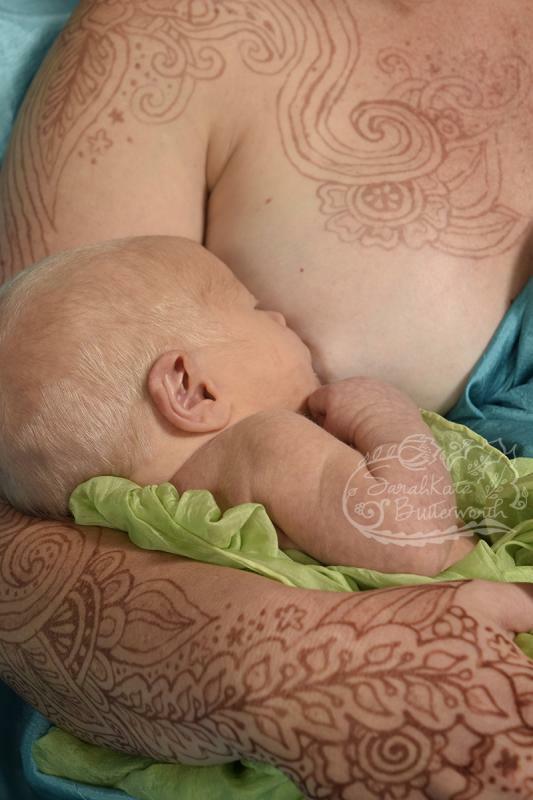 I continued on with the flower theme from her pregnancy and painted up her arm while she nursed her baby boy. 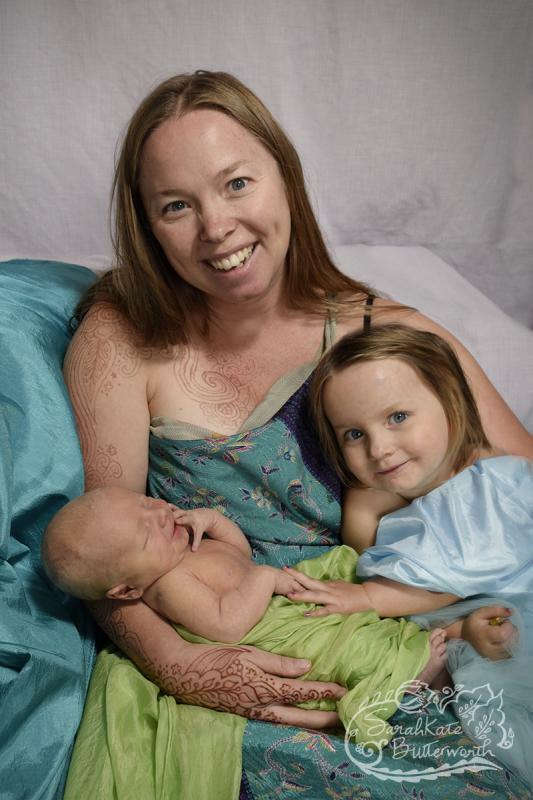 Both big sister and Dad were able to be in the photos we took just a couple days after that - when her son was just 5 days old. I love meeting families like this and celebrating with them.... it's such a special time in life. 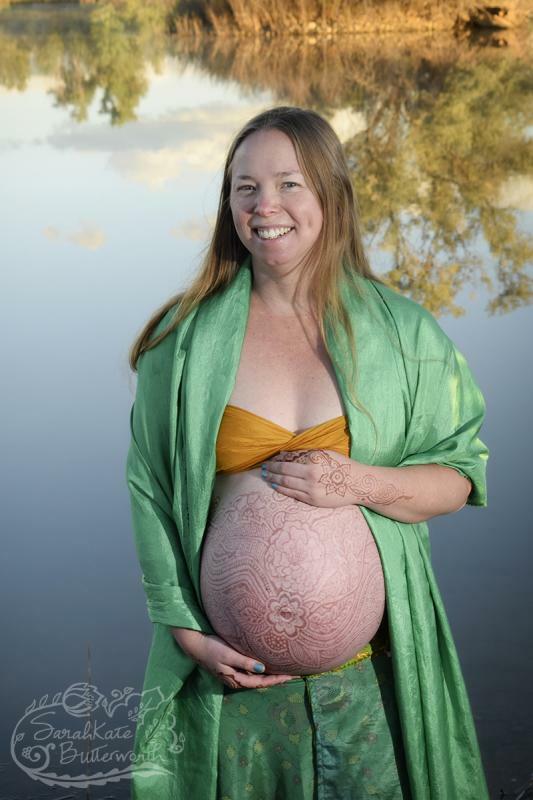 Christina drove from her home in Denver to see me again to celebrate motherhood with henna body art. 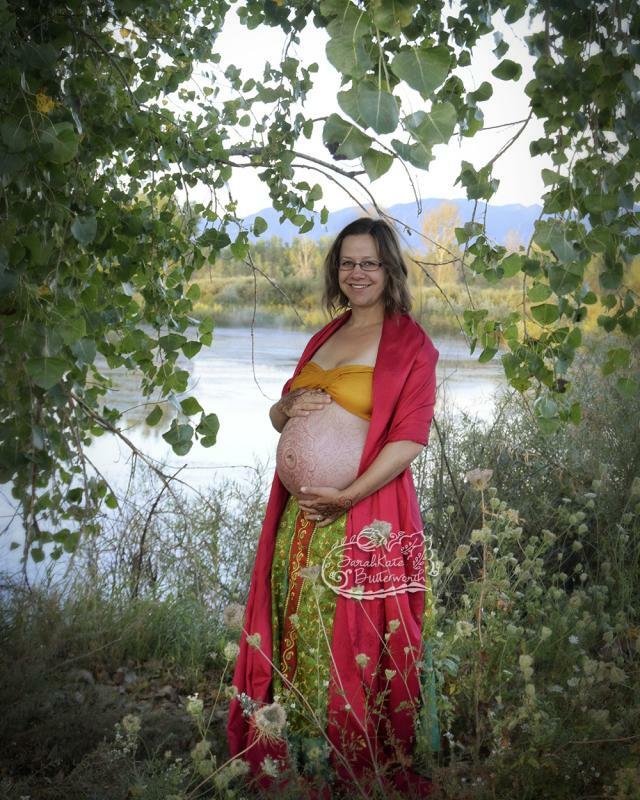 I've adorned her for postpartum, pregnancy and now breastfeeding... it is a joy to watch a mother bloom. Christina requested a design incorporating butterflies and flowers, and I created a bold flowing design. 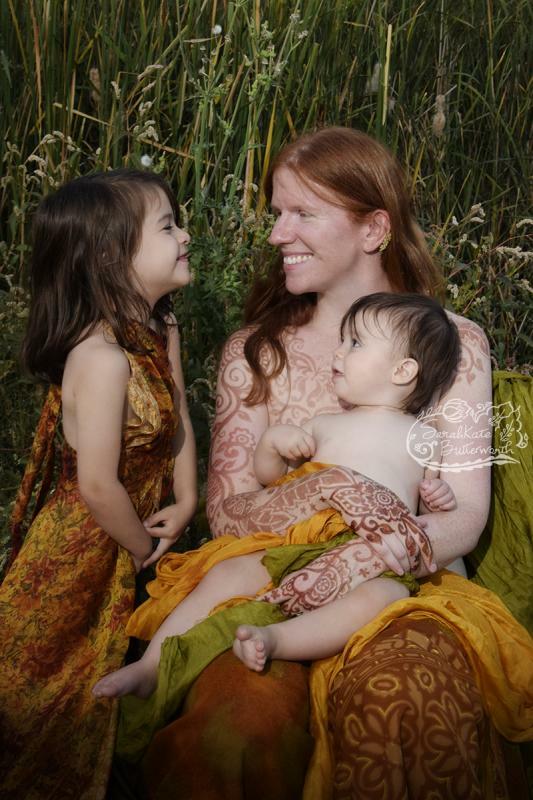 Photos were taken just a couple days later with both her beautiful little daughters. 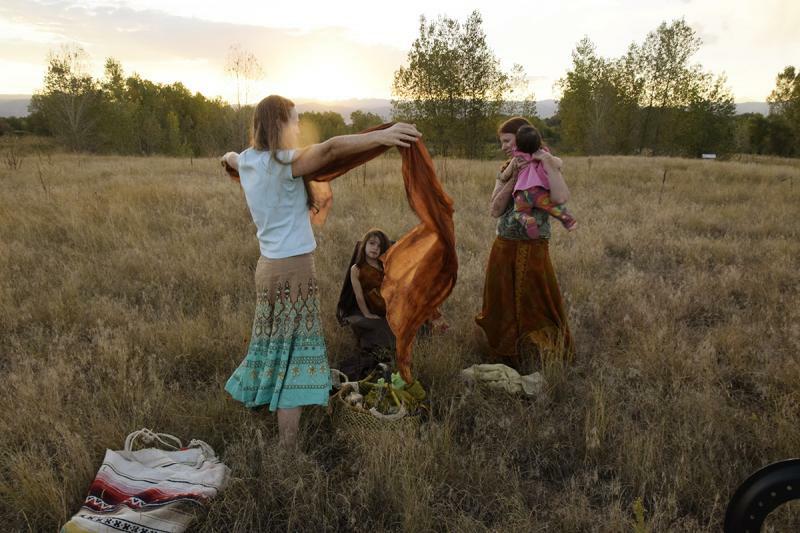 We met at the trail head and I pulled out some gorgeous silks to wrap everyone in. 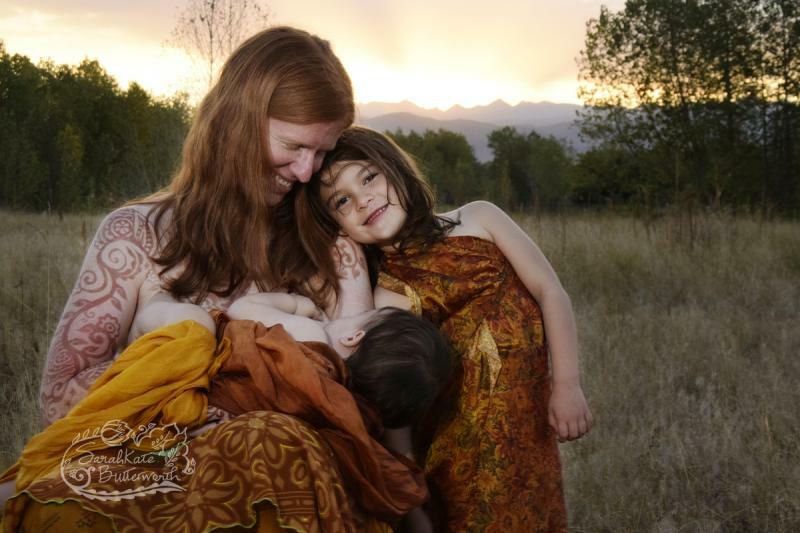 The sun set over the rocky mountains while this stunning mama nursed her baby girl ~ I love it! 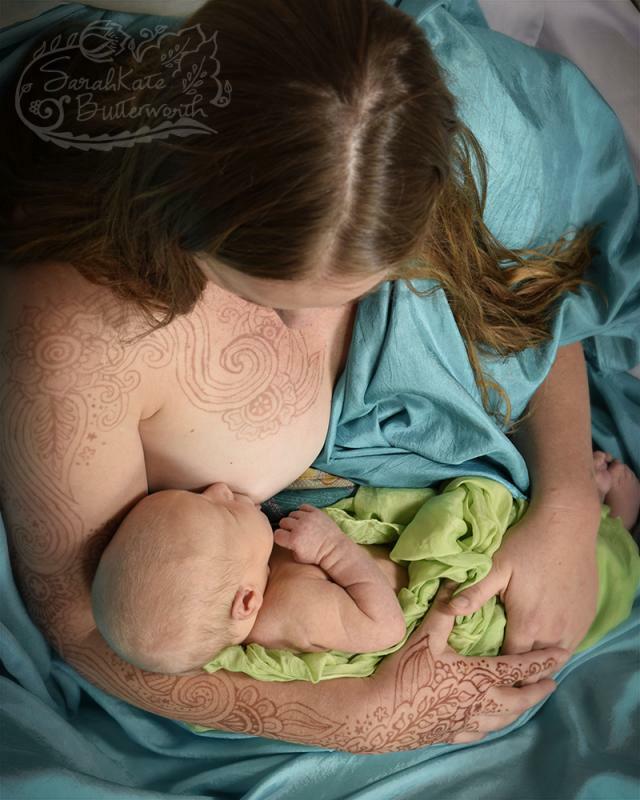 This beautiful Aurora mama came to my studio in Boulder for some breastfeeding body art! 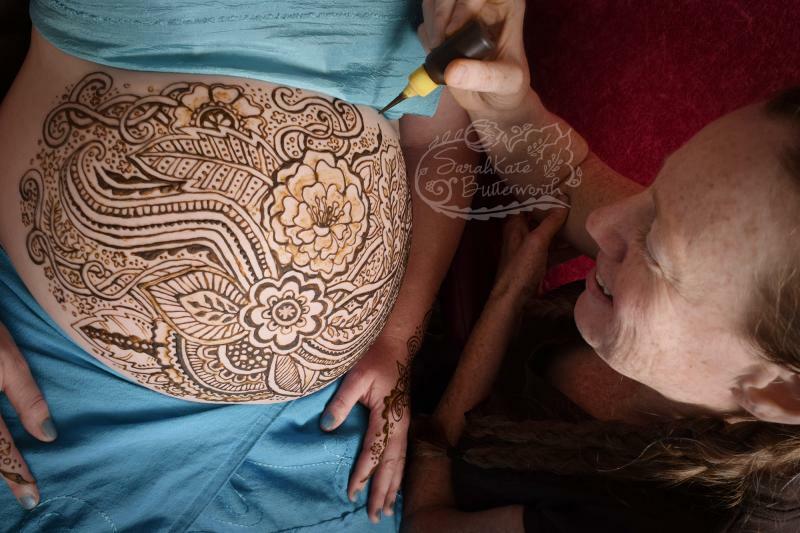 It takes about 2 hours to apply this much henna, another few hours to set before the henna paste is removed. 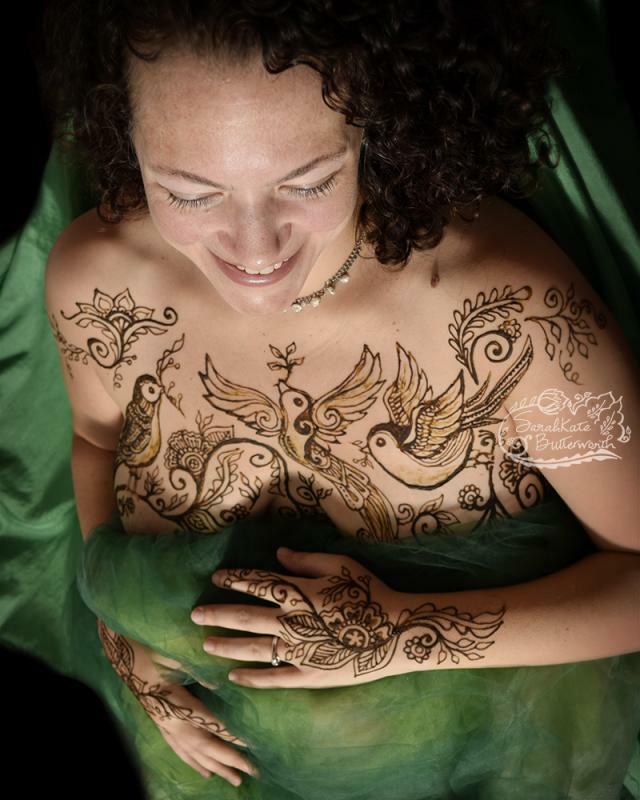 Undearneath is a gorgeous all natural henna stain! 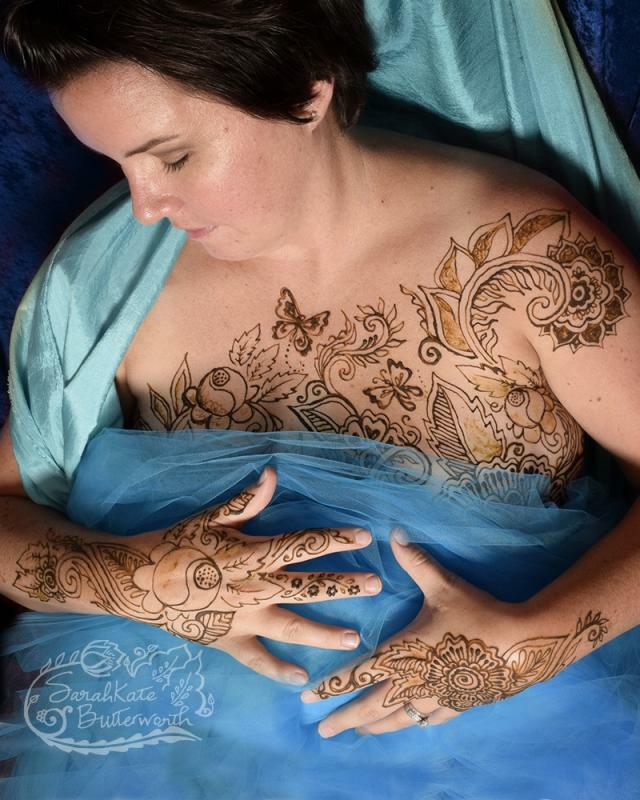 Tonya's henna design is full of flowers with 2 butterflies for her twins. She returned a few days later with her sweet twins (boy/girl) and we photographed her outside. I love how this all came out! 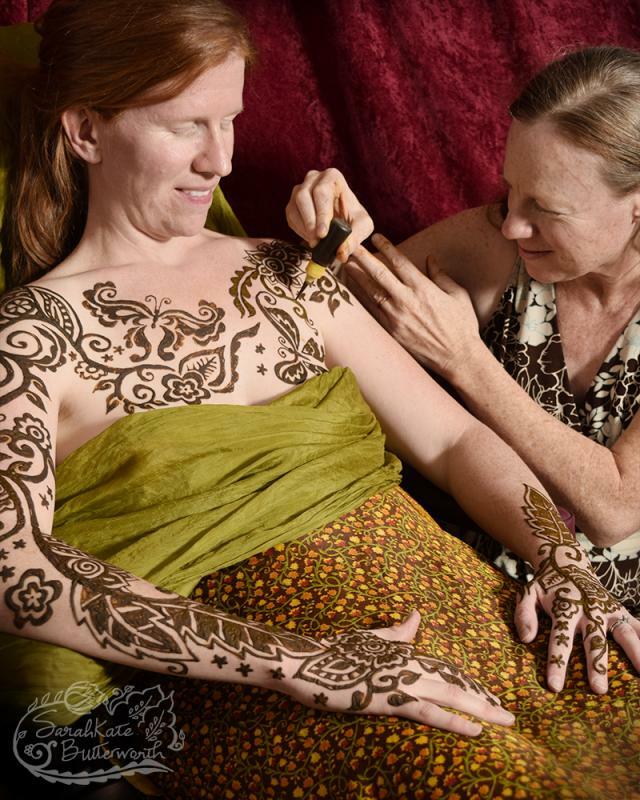 Tracy drove from Louisville to my home studio to be adorned with henna. She requested a mandala design and asked to incorporate 2 stars for personal reasons... 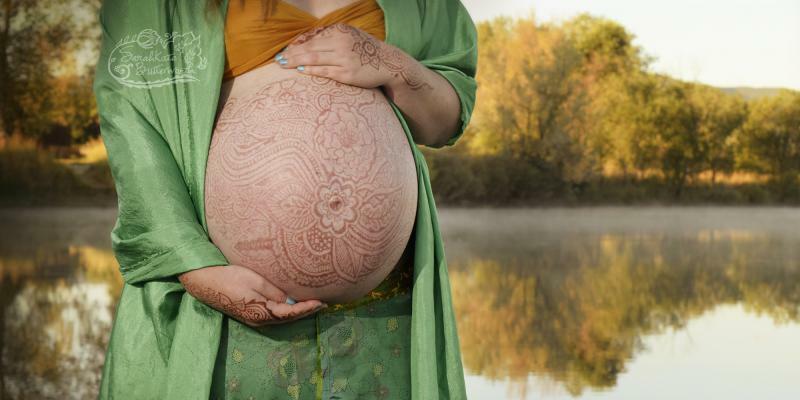 I was touched to hear her story of motherhood. 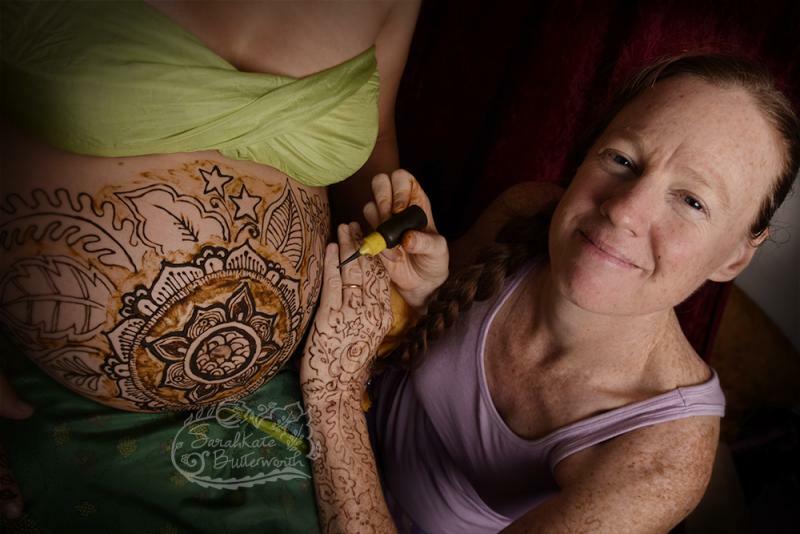 Here I am painting her belly, wearing henna myself - my birthday henna. Tracy returned a few days later for sunrise photos, thankfully it was a slightly warm summer morning. I love how the mountains are lit up during this time of day. Tracy you are glowing! 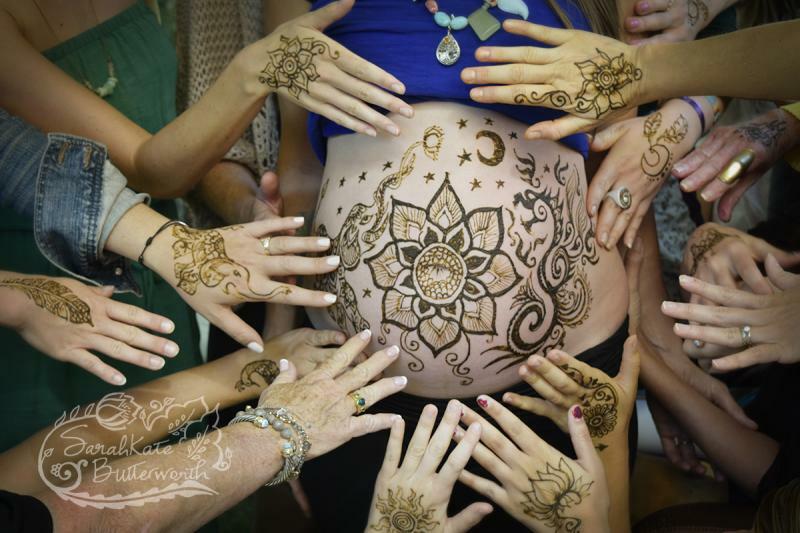 I am always struck at how powerful the rite of passage is into motherhood ~ this sweet mama-to-be is surrounded by her friends and family who hold her with such love & offer blessings ~ I love witnessing blessingways! This gathering was actually in my neighborhood in NE Boulder, with warm enough weather for us all to be outside. The lady of honor had a special soft red armchair under a tree with her baby's name strung in beautiful flags above her. As we discussed the design, there was a desire to represent the members as the family as an elephant & dragon, with this new being blossoming into existance as a lotus flower under moon & stars. 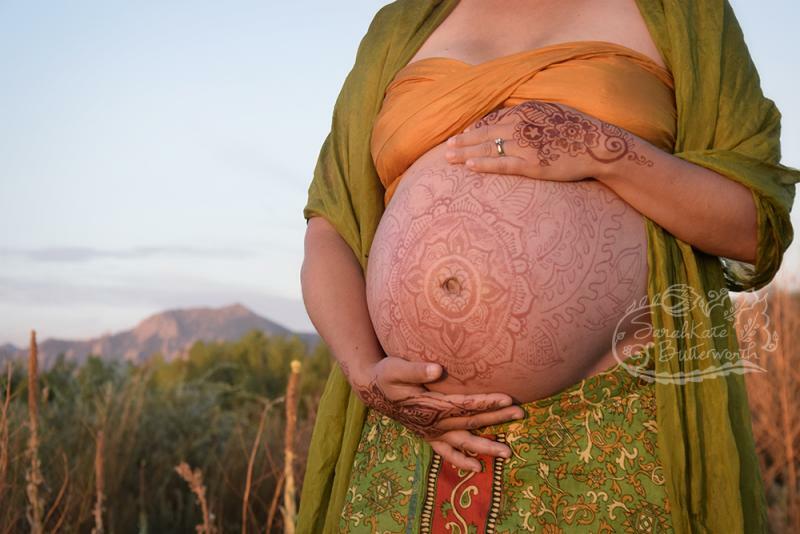 After painting the mama-to-be, I knelt before each of her guests and offered a small henna design to commemorate this ritual. 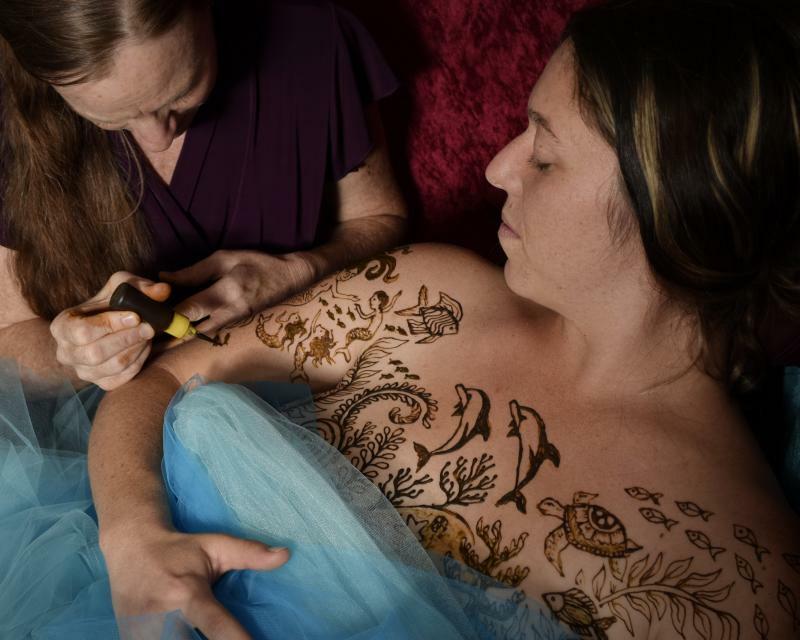 There were over 20 women gathered and it was a joy to meet each one and adorn her with the same henna paste we'd just blessed the belly with. 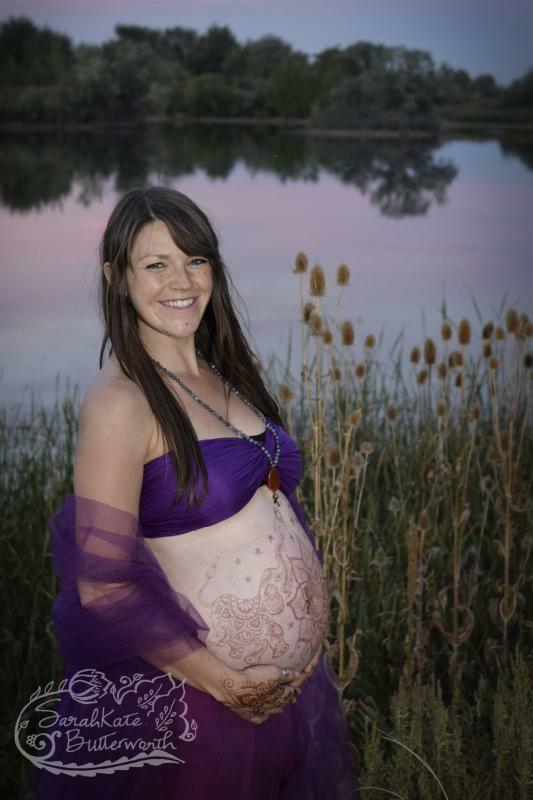 Mama-to-be returned a few days later for sunset photos ~ just gorgeous!